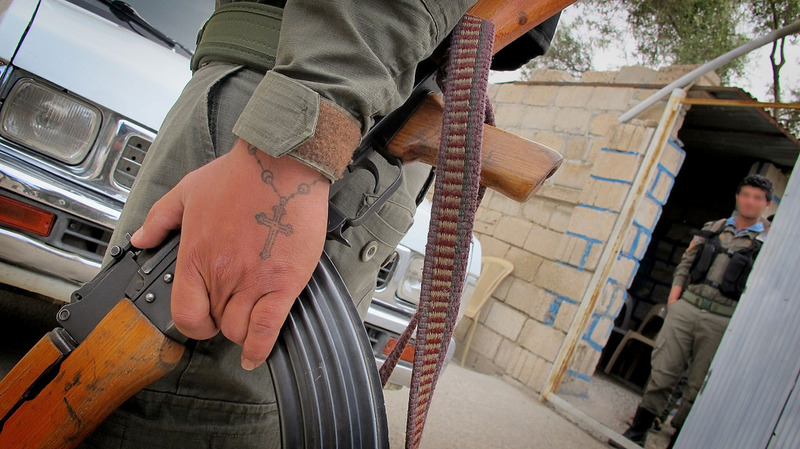 Is there a Future for Christians in the Middle East? The dramatic events around Syria, namely the April 4 massacre of the civilian population in Idlib by toxic gases, which was immediately followed by the US missile strike on the Syrian airbase of Shayrat on April 7, finally culminating into very heated discussions in the UN Security Council, have pushed other tragedies of the Middle East far into the background. The terrorist attacks against the Coptic community in Egypt, which brought the fate of Christians in the region back onto the agenda again, is worthy of first mention. Firstly, a few words about the sad event itself. On April 9, on Palm Sunday, a significant day for Christians, two powerful explosions struck two Coptic churches in the two Egyptian cities of Tanta and Alexandria during a festive service, killing 49 and injuring 120 people. The authorities reacted immediately by introducing a state of emergency for three months, and by creating a Supreme Council to fight terrorism. To this, the United States and other Western countries, instead of feeling compassion for the Christians, immediately reacted by sharply criticizing the regime for ‘clamping democracy’. However, we indeed must afford more thought to the fate of Christians in the Middle East, including Egypt, than what we can possibly notice right now. The Coptic community has always been one of the most important keepers of Egyptian national identity, although, according to different estimates (as no official figures since 2006), they constitute between 7 and 11 percent of the nation’s total population, which makes up between 6 and 13 million people. For centuries, the Copts have played an important role in the economy, in politics and in the cultural life of the Egyptian state. Secretary-General of the United Nations Boutros Boutros-Ghali (his grandfather, Boutros Ghali, was Prime Minister of the country from 1908 to 1910, and was later killed by an Egyptian nationalist) is one of the famous Copts one can recall. Although, throughout the twentieth century, the role of the Copts in politics and the economy has been steadily decreasing; no more than between 1 and 2 people have been appointed members of government in recent years, or as governors, and there were only six of them in the parliament under H. Mubarak. The Coptic community in Egypt, which, during the era of H. Mubarak through Pope Shenouda III, established strong relations with State bodies, which in turn generally defended it, started becoming a target of mass attacks by Islamists in the 1990s. In the period between 1990 and 1997, many incidents occurred in many places (Abu Qirqas, Manfalut, Asyut, Izzet-Daud, etc.) that led to death of dozens of Christians. The apotheosis was the attack of Islamists in November 1997 against tourists in Luxor, after which the State heaped repression on them. They managed to calm the Islamists down for a while, although the ‘grassroot’ riots and the oppression of Christians under the colour of the ‘illegal building of churches by them’, alleged ‘insults’ to Islam caused by Copts, Christian woman cohabitation with a Muslim man, and so on, have continued, and this has led to the slow but accelerating departure of the Copts and other Christians (for example, of Armenians having positions in the business of Alexandria) from the country. In addition, there have been terrorist attacks similar to the recent terrorist attacks, for example, the explosions in the Coptic Churches in Alexandria in 2011. When “Muslim Brotherhood” came to power after the January 25 Revolution and the presidential elections in 2012, which their protégé Mohamed Morsi won, the position of the Copts became sharply worse. This was primarily because during the elections, they had overwhelmingly supported Ahmed Shafiq, a secular politician close to H. Mubarak. Despite the promises of the new authorities to protect Christians, Christian oppression only increased. As clearly demonstrated by “The Association of Victims of Abduction and Forced Disappearance”, 550 Coptic women and girls were abducted between January 2011 and March 2014. Attacks and murders of followers of Jesus Christ in different parts of the country have increased. However, in the West, these facts were either hushed up or interpreted as a “perversion of reality”, as if Coptic girls themselves marry Muslims and then the Copts put it as abductions. In this situation, Copts considered it deliverance when in 2013, the army top ranks headed by Abdel Fattah el-Sisi came to power in Egypt, and the “Muslim Brotherhood” was suspended from the levers of power. The Coptic Pope Tawadros II, who succeeded Shenouda III, expressed solidarity with the Egyptian army as reflecting the will of the people. The adoption of the Constitution in 2014, in which, for the first time, though briefly, the Christian period in the history of Egypt was mentioned, was an important and significant event for the Coptic Christians. Nevertheless, it is clear that Islam remained the state religion, and Sharia is the basis for legislation. Recent events, like explosions in the Coptic Churches, as well as the latest threats by the “Islamic State” to the Copts in the Sinai Peninsula, challenge the relative calm of Christians in Egypt. However, these events are also a challenge for the new US administration. Will it continue to drift toward the diplomacy of George W. Bush and Barack Obama when, under slogans of peace, Washington was spearheading regime change agendas in the Middle East, with a clear bias towards supporting the “Muslim Brotherhood” as allegedly democratic forces? At the same time, it is known that it was the “Muslim Brotherhood”, with the tacit approval of the West, that launched the most extensive (over the last thousand years) prosecutions of Christians in the region; and those from ISIS who replaced them as leaders in murdering Christians have expanded this policy up to the genocide of Christians in Syria and Iraq. Or will the administration of Donald Trump be strong enough to change the long-term vector in the policy and expand the tools for combating radical Islamists and ISIS by including the protection of the national minorities of the Middle East, including Christians, in it as well? In any case, having noticed the problem of genocide and the expulsion of Christians and other national, ethnic and religious minorities in the Middle East, the administration of Donald Trump will add this factor to its agenda and try and prove that it is really different from the neocons, and that it is really set on curbing radical Islam, a diabolical force that is aimed at destroying a two-thousand-year-old Christian presence in the region. This will expand the eventual platform of interaction between the US and Russia in the Middle East in the fight against extremists and terrorists, and will lay the ground rules, including spiritual ones, to overcome the confrontation between Moscow and Washington in the region. Maybe the White House will give a thought to this possibility?